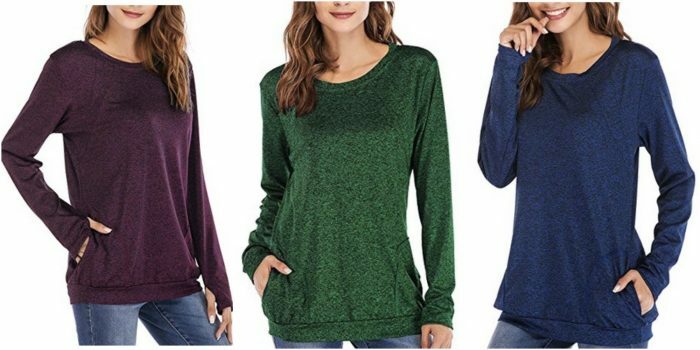 Women’s Casual Solid Sweatshirts only $11.99! Looking for a cute, comfy top for fall? Amazon has these Women’s Casual Solid Sweatshirts for only $11.99 right now! These tops are made of lightweight fabric and super soft! There are several colors to choose from, too. And don’t forget that Amazon offers free returns if the item doesn’t fit. « Potatoes for $1, Krusteaz Cookie Mix for $0.99, plus more deals!